Former Parramatta superstar Jarryd Hayne is one step closer to his NFL dream after announcing he’s signed a futures contract with American heavyweight franchise, San Francisco 49ers. Many believed the Detroit Lions were the frontrunners but it was the Californian team who eventually picked up the two-time Dally M medalist. Hayne is now part of a 90-man squad that will be trimmed to 53 in August. “Mentally I’m ready for anything. 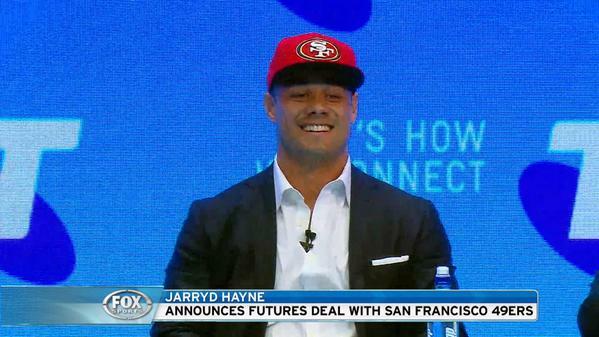 I’ve got a good attitude and I want to do whatever it takes,” Hayne said today at the press conference.